You must make reservations at least 5 minutes in advance of the time at Rec Pier Chop House. Public parking, direct water taxi access, and private boat landing. Rec Pier Chop House is a prime Italian chophouse devoted to time-honored Italian cooking. Presented by NoHo Hospitality Group’s award-winning chef Andrew Carmellini with a focus on the bold flavors of a classic rosticceria Italiano and a modern-day steakhouse. 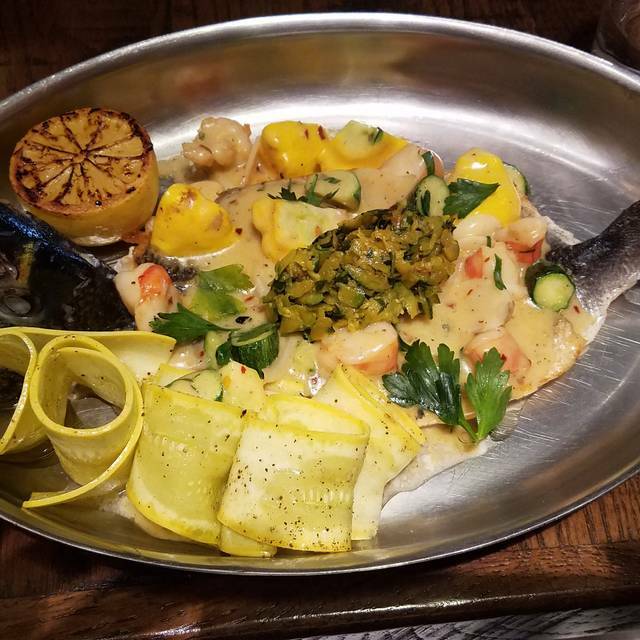 The restaurant’s menu features prized, seasonal ingredients and the country’s best purebred beef, sustainable seafood and farm-raised poultry alongside housemade pastas, antipasti and homespun desserts. Please visit our website for our Pre-fixe menus that will served on holidays. Beautiful place. Food was average especially for the price. Server was lovely! Everyone was so nice!! Excellent brunch, with a very attentive service - highly recommended! Place is beautiful and the staff is very accommodating. Mannie was our waiter and was awesome. I gave the food four stars only because my steak had to be sent back because the first cut was extremely fatty I was unable to eat it but sometimes rib eyes are like that. They tried to rush another one in time so I could eat with my table but it came out cold in the center. It was removed from the check and with all of the other food I left perfectly full. Great space with good food. The drink menu is extensive and service was good. Great meal. Great service from Diana. Beautiful interior. Looking forward to going back soon. Some of the food was outstanding. Filets, trout and pastas. Salads and rockfish were mediocre. Also breakfast was great. Some of the service was exemplary but our dinner waiter was pushy and never checked on whether the food came out the way we wanted. Never had the opportunity to correct anything. The staff at the hotel and in the restaurant are generally extremely well trained and can’t do enough for you. It was a shame that our great meal wasn’t deserving of 5 stars. 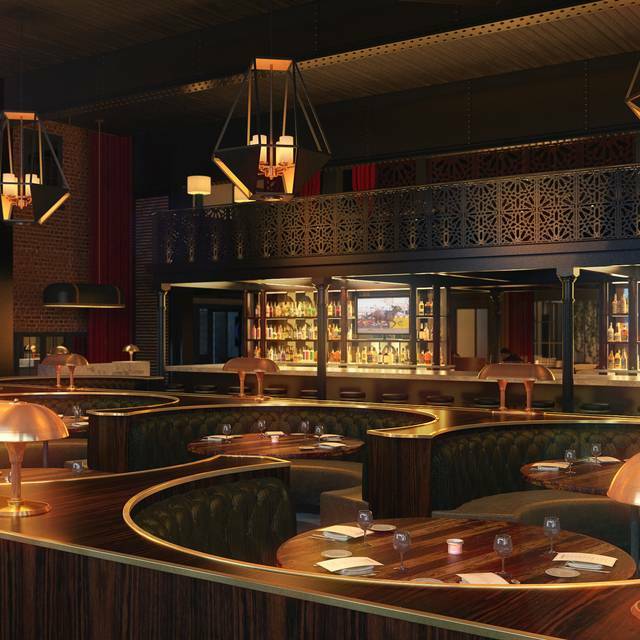 The new Sagamore hotel is a stunning example of how to preserve history while making the space cool and hip, and the restaurant is no outlier. 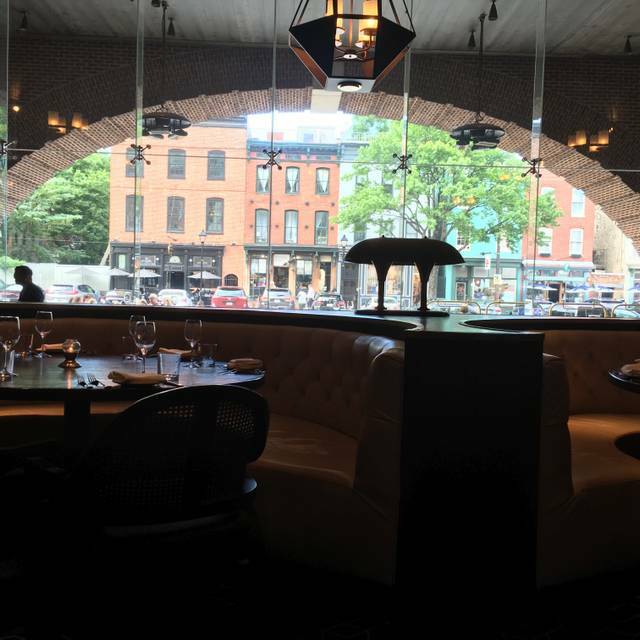 The space opens to a wall of windows and the table seating can be cozy (booth) or open (table). 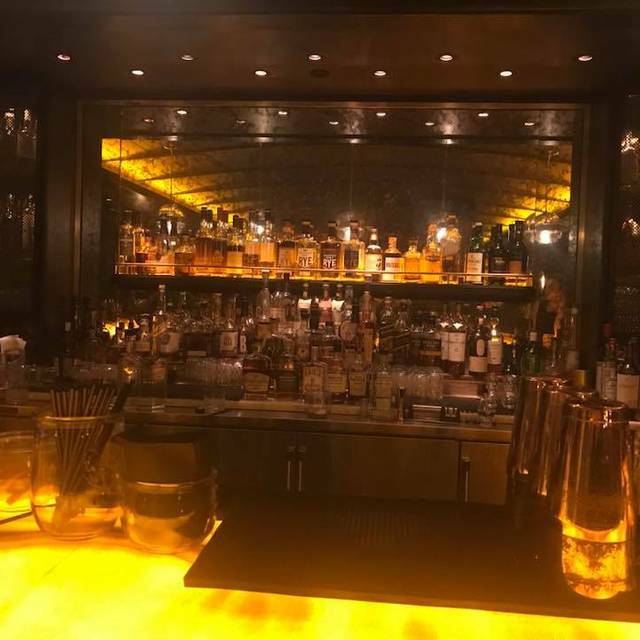 Both arrangements allow you to take in the high ceilings, huge brass light fixtures and historic detailing down to the bar stools. 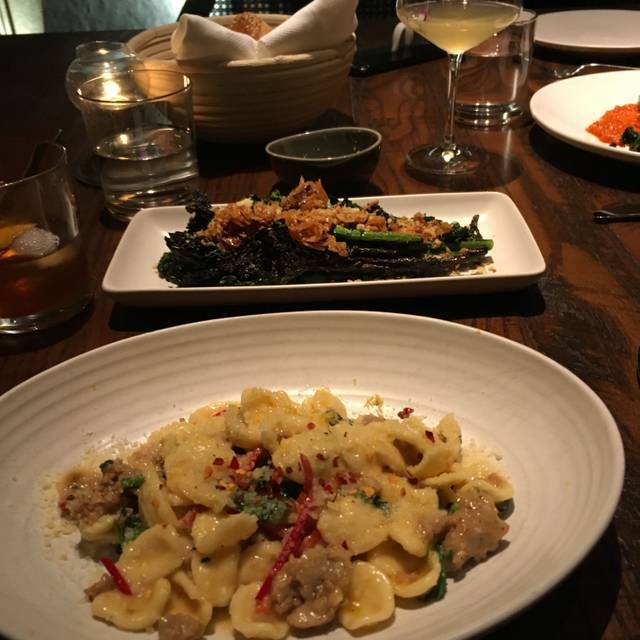 Most importantly, the food is to die-for -- scratch pastas, aged steaks and everything in between. Each dish was better than the next. Be sure to order the Blue Crab linguini - if nothing else, share it for the table. It is amazing!!! Please consider evaluating noise levels. Wife and I literally had to shout across the table to hear one another and that was at a corner two-top. Food was superb, as always. 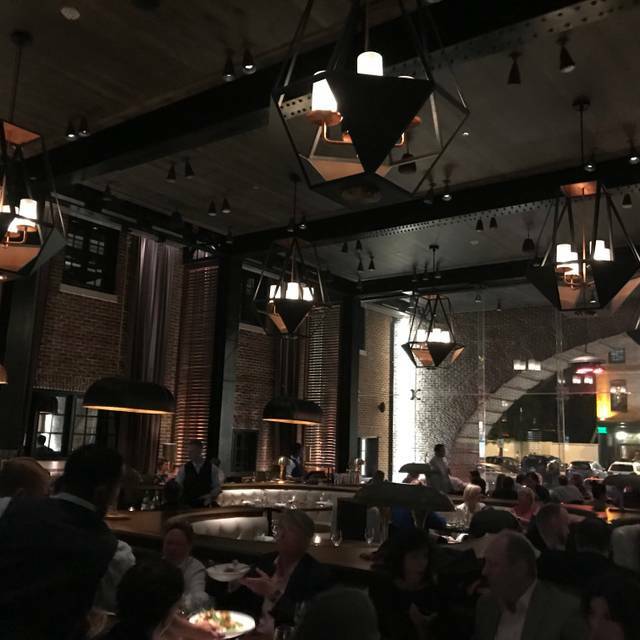 The Pendry is a wonderful new addition to Fell's Point ands to Baltimore. The atmosphere and the room in which the restaurant is located is better than outstanding and the service is great. I just wish the menu was more interesting, It is very good, but not spectacular or special to match the atmosphere. The entree's are pretty standard steak and seafood. And standard preparation. It is a good meal, but a spectacular chef and meal at a place like this would make it so much better. Disappointing experience. The pasta was undercooked and the lamb was almost nonexistent. The open room was too sterile and lacking any intimate or private setting. This was the first time in our several visits that we had to send food back for poor preparation. Great food and service . Very noisy. My wife, two grown sons and I ate here for Sunday brunch. The service was excellent. I wanted a steak. The waitress said there weren't any on the brunch menu, then brought the manager over who said he would ask the chef. Chef agreed and I ended up with an excellent rib eye steak. The brunch items my family had were all wonderful. Ambiance was quite pleasing; moderately but not deafeningly loud. Very good coffee. We will definitely be returning. We loved everything from the cocktails to the meal to the wine. The sommelier was wonderful! We'll definitely go back. A friend was visiting from out of town and wanted to go to the Rec Pier Chop House, largely for the historical nature of the property. It's a lovely building and it's been nicely restored. That said, there were a few disappointments. This pretentious eatery is not an Italian restaurant, save for the course and family style format. The menu items are more Italian-adjacent or -inspired and are woefully over-priced. My friend and I shared the calamari and Caesar salad. The portions were enough for two. I passed on the next course because I didn't see anything I really was interested in for the calories (which I wanted to save for dessert). I had the diver scallops, which are $37. For that, I got FOUR scallops. They were tasty but for that price there should be six. The tiramisu was good but not outstanding. For the hype and price, I expected the food to be of better quality and taste. The service was good; we were not rushed and the courses arrived neither too fast or too slow. Although we did not complain at all for the wait for our main course, an additional appetizer compliments of the house was given to us. So it was nice that someone felt the service was slow, but as I said, we didn't interpret it as such. Overall, dining at Rec Pier is something to do once to say you did; for the money one could enjoy much better, more authentic fare at some of Baltimore's other neighborhood eateries. The restaurant space is very attractive, but extremely loud; it is difficult to carry a conversation. The cocktails were not good - the cider and smoke tasted like an ashtray. The fried calamari and beet salad were good, nothing special. The orecchiette pasta was tough and dry - not what one would expect from a place that calls itself an Italian restaurant! The bone-in filet was separated from the bone sometime in the middle of the cooking process, which defeats the purpose of preparing it bone-in. Overall a disappointing experience, capped off by the $20 charge for valet parking. Will go somewhere else next time. The food was excellent, well-conceived, well-prepared dishes: Burrata with Peperonata the pine nuts added an interesting flavorful crunch. The Torchio Alla Carbonara with black truffle and bacon was outstanding. The wine list is extensive and varied. We enjoyed a nice Meursault, followed by an excellent Borolo from Cavallotto. We dined early and got out before it got too noisy. We'll be back! Wonderful dining experience! Everything was perfect. Top shelf menu, quality and service. Ambiance is vibrant, but not overbearing. Super trendy. We prepped them that it was an anniversary celebration for my parents, and everyone on staff wished them a Happy Anniversary! They had a card signed by the staff and a complimentary dessert, too. They made my parents feel super special. And in a restaurant of high rollers, that's impressive! This is definitely a place to celebrate the big event, the promotion, etc. Bring your spirit and your enthusiasm and you'll be rewarded. But bring your credit card, too. It's worth it, but it's not a "value" location. I highly recommend this restaurant. Our party of seven went on a Saturday night for a special birthday celebration.We had a lovely dinner, however the noise level was so loud that I could not hear anyone at our table except for the person directly next to me. The food was excellent, and the service was OK. I have a pet peeve about servers removing dishes when others are still eating. It's a lovely atmosphere, but the large round booths are awkward. Overall, food is great, service friendly and OK, very loud. Food was delicious, but the portions were tiny for the price. For a restaurant that wants to be upscale there were many things that were lacking. The evening we arrived it was pouring outside. Nobody offered to take our soaking coats or umbrellas, I don't think they have a coat check, so our wet garments were placed on the chairs next to us. Our view out the window was of the valet parking attendants who were playing around with each other and not well dressed either. Normally I wouldn't care, but in this case it was our view and obviously the restaurant wants the big window with the street view. I would suggest they ask the valet to be discreet and try to not distract from the view. There was a table of gentlemen in the restaurant who were very loud. I was waiting for a staff member to remind them to respect other guests. Having no dress code also caught me off guard for a "high end" restaurant.Finally, when given our take out bag, it was just plopped in the middle of the table. It just seemed a big out of place. Instead the bag could have been placed in a chair next to me or handed straight to me. Food was excellent and service was outstanding. We love the beauty of the restaurant and the hotel. 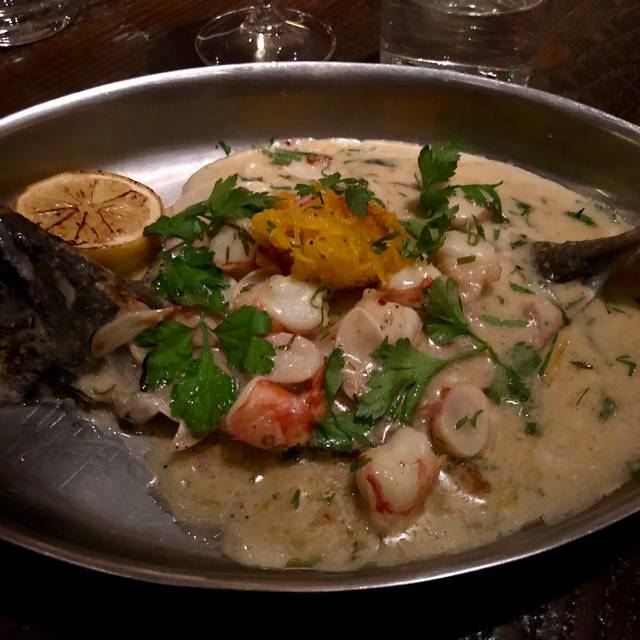 The Rock fish was outstanding! We were rushed to order and rushed to finish our salads. Great time, date night, wife and I enjoyed our time their. The waitress was on top of everything. Food was great, my wife and I agreed our steak wasn't the best, but everything else was on point. Fantastic service and they did a great job seating tables so that we didn’t have anyone right next to us even though the place was full. Not to mention the food was top notch. Ambience is great and food is lovely too. Service could have been a little better by leaving more time between courses and generally being a little more attentive. I decided to propose to my girlfriend here and I can’t say enough about how great the staff was! I think every staff member congratulated us. They truly made it a special event and we will be returning for life! Steaks were surprisingly bland. My ribeye and my wife’s filet so not just a fluke. 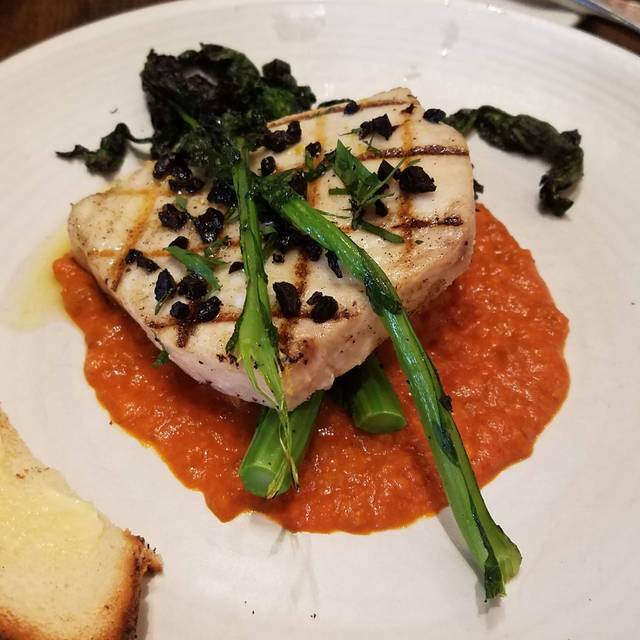 Another member of the party had the swordfish which they said was excellent. What an amazing experience! 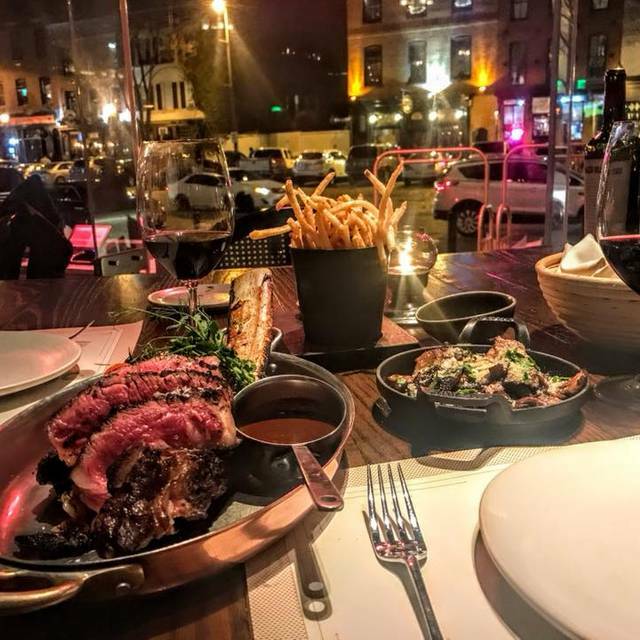 We booked a datenight weekend in Baltimore and were treated like royalty at the Chop House. They seated us front and center at the restaurant, we had ample room and couldn't hear anyone else's conversation but our own. We were offered a sommelier who helped us pair an exquisite zin. We never felt rushed to leave and were attended to like something out of a dream--they didn't hover over us but were always there when you needed them. I think this experience helped rekindle our marriage. Thank you so much for this magical experience. We left with smiles in our hearts and on our faces.